Continuing north along Sonoma Creek into the city of Sonoma. 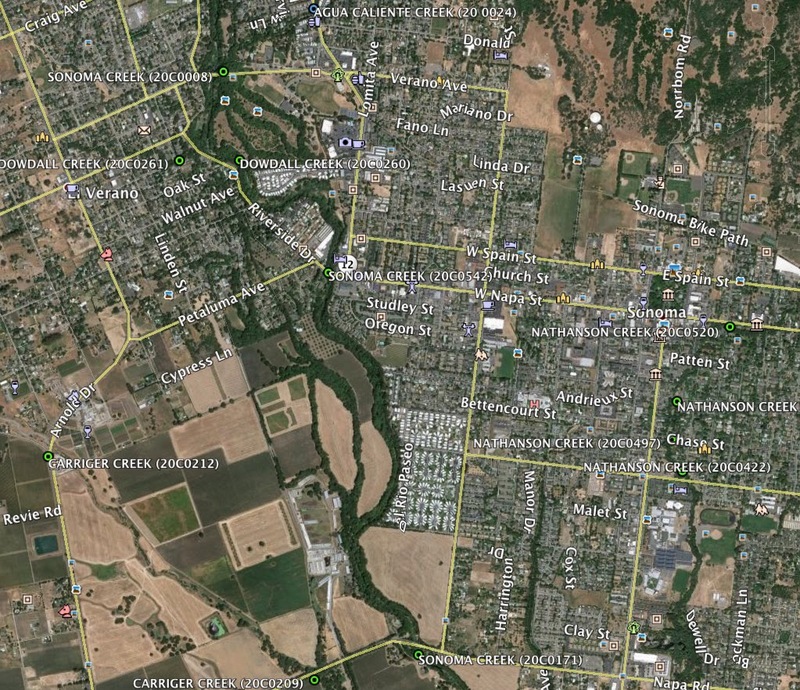 The city is riven by so many tributaries to Sonoma Creek that there is bridge under almost every street (see Google Earth photo below). 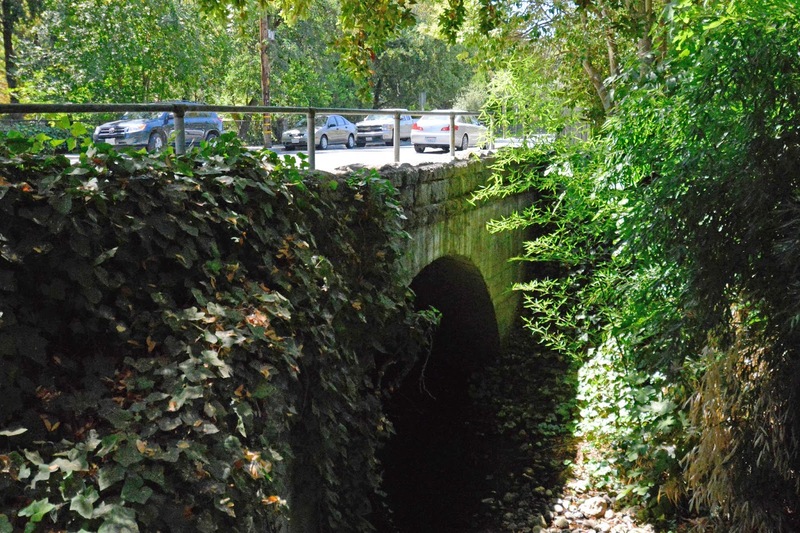 Today's bridge is a little stone arch carrying East Napa Street across Nathanson Creek. It was built in 1908 and widened (with the road) in 1934. More information on this and other bridges in the city of Sonoma can be found on the Bridgehunter Website. Sonoma County, California Bridges: East Napa Road Bridge across Nathanson Creek by Mark Yashinsky is licensed under a Creative Commons Attribution-NonCommercial-NoDerivatives 4.0 International License.